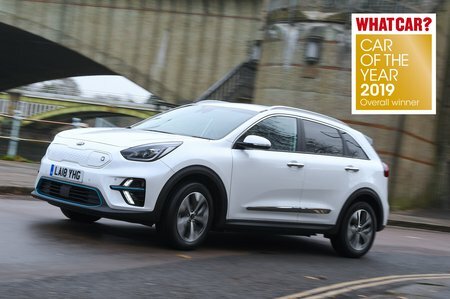 Kia e-Niro Performance, Engine, Ride, Handling | What Car? Compared with most similar-priced electric cars, the e-Niro is really quite nippy. In fact, when pulling away, you have to be a bit delicate with your right foot to avoid spinning the wheels embarrassingly – even when the road is dry, let alone when it's been raining. 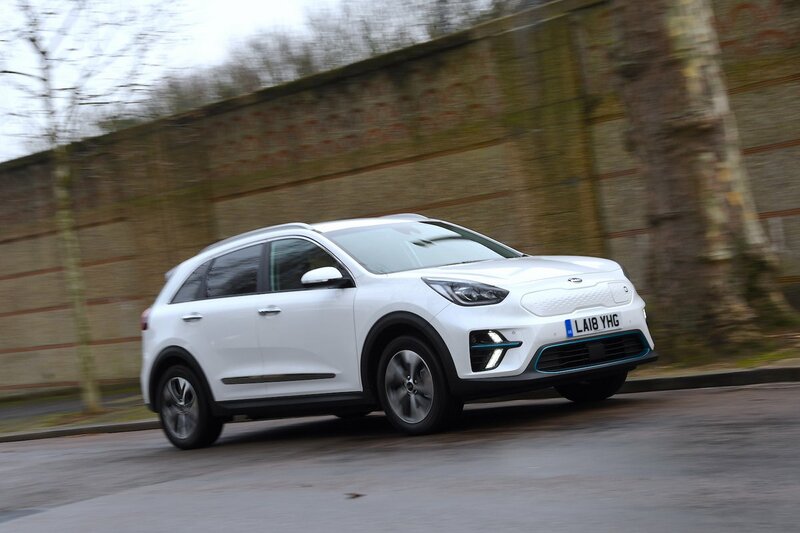 Once you’re on the move, the e-Niro builds speed almost as rapidly as a Ford Fiesta ST. And there’s no waiting for the revs to rises before maximum performance is delivered; simply tread on the accelerator pedal and the car immediately surges forward. When it comes to electric cars, though, performance isn’t just about how quickly you can get up to speed; it’s about how far you can travel between charges. In official government tests, the e-Niro managed 282 miles between charges. Our Real Range tests showed 253 miles in more realistic in real-world driving, although that’s still a hugely impressive figure and a match for the far pricier Jaguar I-Pace. Don’t expect to feel as if you’re floating along on a magic carpet, but the e-Niro is pretty comfortable by electric car standards. Yes, you’re always made aware of bumps as they pass beneath the car, but you’re jostled about noticeably less than you are in the rival Hyundai Kona Electric. Even potholes and nasty broken patches of asphalt don't cause a serious loss of composure. The cheaper Volkswagen e-Golf offers even greater ride comfort, but that car can manage fewer than half as many miles between charges. Electric cars don’t usually handle as sweetly as their petrol and diesel alternatives because of all those heavy batteries. This holds true with the e-Niro – a Seat Ateca is more agile, for example – but it still changes direction keenly enough and its body remains fairly upright while doing so. The steering doesn’t give you a particularly great connection with the front wheels, although it’s pleasantly weighted and feels precise, making it easy to place the car where you want it on the road – both around town and on faster roads. When you accelerate hard, particularly along an uneven road, the e-Niro’s steering wheel sometimes feels like it’s connected to the front wheels via an angry snake as it tugs your hands one way then the other. However, this phenomenon is still less pronounced that it is in the rival Kona Electric. Electric cars have a big advantage over petrol and diesel models in this area because there’s no noisy, rattly combustion engine under the bonnet. 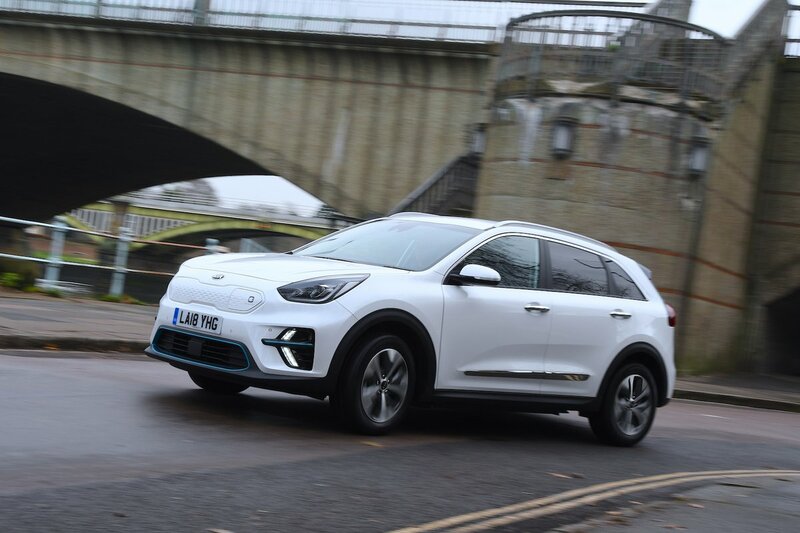 There’s just a muted whine as you accelerate up to speed and, at very low speeds, a curious synthesised hum to warn pedestrians of the e-Niro’s presence. There’s a bit more road and wind noise on the move than in the Volkswagen e-Golf, but less than there is the Kona Electric. Unlike many electric cars, the e-Niro’s brake pedal responds fairly consistently to pressure, making it easy to slow your progress smoothly.